What comes into your mind when you think about Tuscany? Probably it’s going to be picturesque landscapes, perfectly manicured vineyards, medieval cities and hill towns, castles, good wine, sophisticated cuisine etc. Driving Guide Tours offers a wide range of guided tours in Tuscany with English, German, French and Russian-speaking driver guides. The cradle of the Renaissance Florence attracts thousands of people from all over the world every year. No wonder why: a simple walk around the city center can be compared with a museum tour. Just a glimpse at the Signoria Square with its world-famous statues will make you fall in love with this city. A perfectly preserved medieval rival of Florence Siena will charm its visitors with cute coble streets and incredibly beautiful central square where the famous race Paleo takes place twice a year. Those who think that the first skyscraper was built in the 20th are invited to San Gimignano famous for its very-well preserved incredibly high medieval towers. The view from the Torre Grossa is worth climbing up its top. Your driver guide will park the vehicle and assist you in touring the city showing you the most beautiful and important sights there. The leaning tower of Pisa is the must visit sight for those who come to Tuscany. Apart from being leaning the tower catches your attention with it beauty. In fact, it makes a part of the Piazza dei Miracoli, means “Miracle Square”, that was called this way by Michelangelo when he came to Pisa for the first time and didn’t expect to see such a beauty that was already 400 years old by that moment! Lucca will impress you with medieval city walls that were turned into pedestrian area all over the city. You can hire a bicycle and go around it, stopping at the most important sights. Your driver guide will accompany you here as well making your touring interesting and fun. The gourmets are invited for a food tasting where they can taste top-quality cold cuts, cheeses from the manufacturers and extra virgin olive oil. 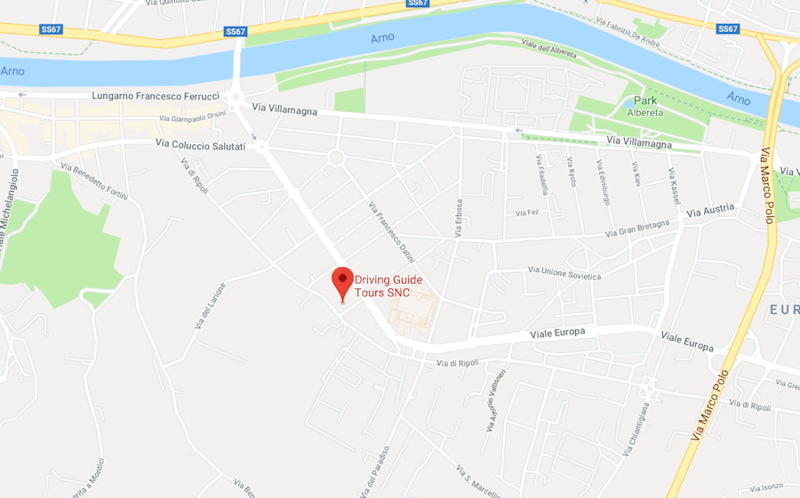 Your driver guide will only take you to the most reputed places where you can have food tasting enjoying beautiful countryside views or discovering the secrets of Tuscan culinary traditions at an authentic store. Wine lover will appreciate the wine tasting tours where they will taste top-quality wine labels of Tuscany at the traditional wineries. For those who want to have lunch at the winery we can organize it as well. A glass of good wine pared with local food will make your gastronomic experience unforgettable! If you are planning to visit Tuscany call us right now and our travel consultants will design a tailor-made itinerary for you! We have driver guides fluent in German, French, Spanish, and Russian and we will be happy to please you even more with a specialist speaking your native language on your tour. Book your service in advance and get ready for an unforgettable Tuscan vacation!